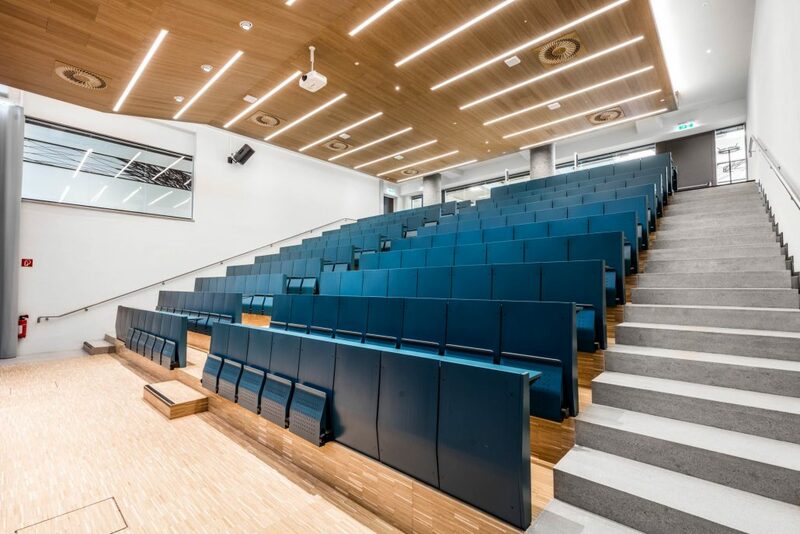 Freed from its former 70s vibe, following a period of refurbishment, the University of Klagenfurt presents itself in a contemporary design that is flooded with light. 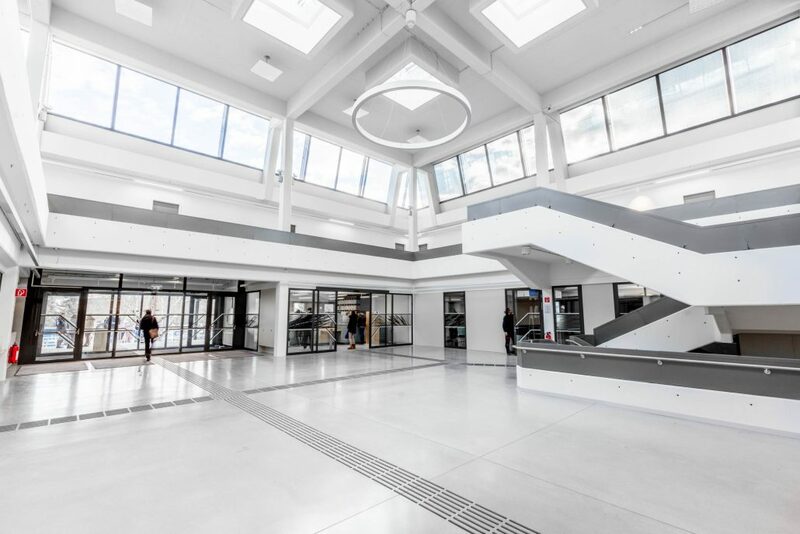 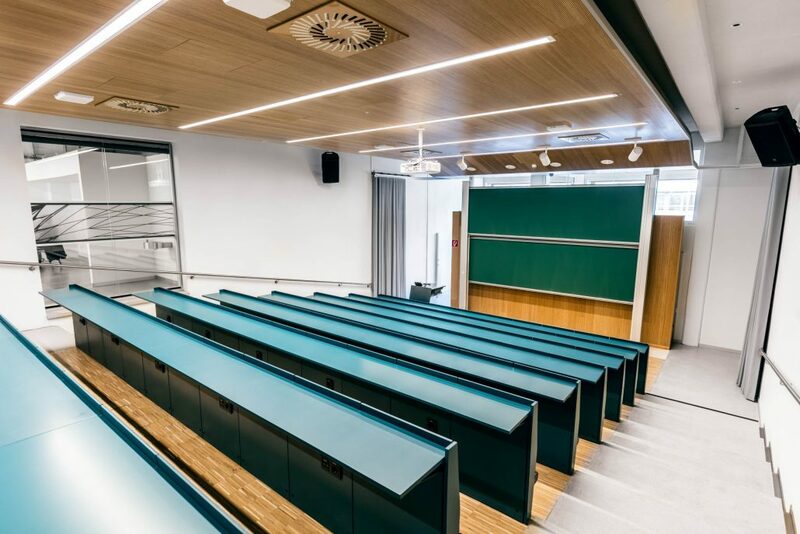 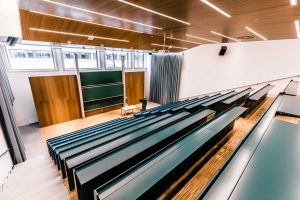 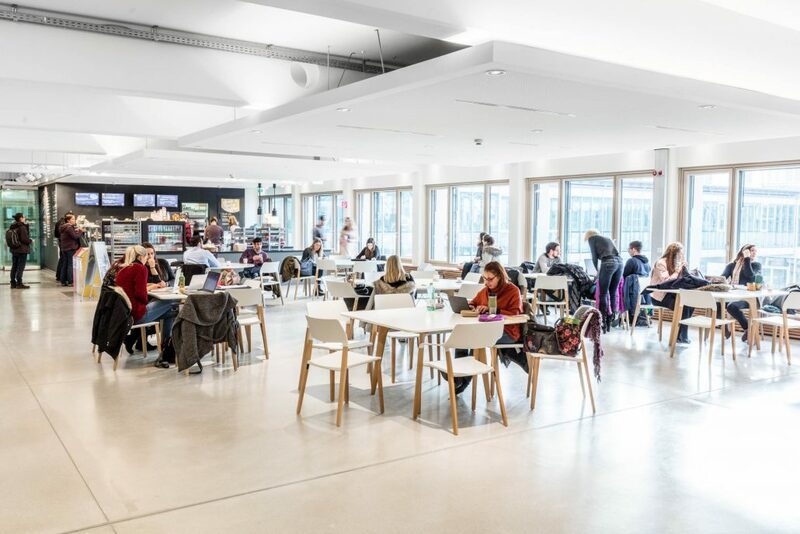 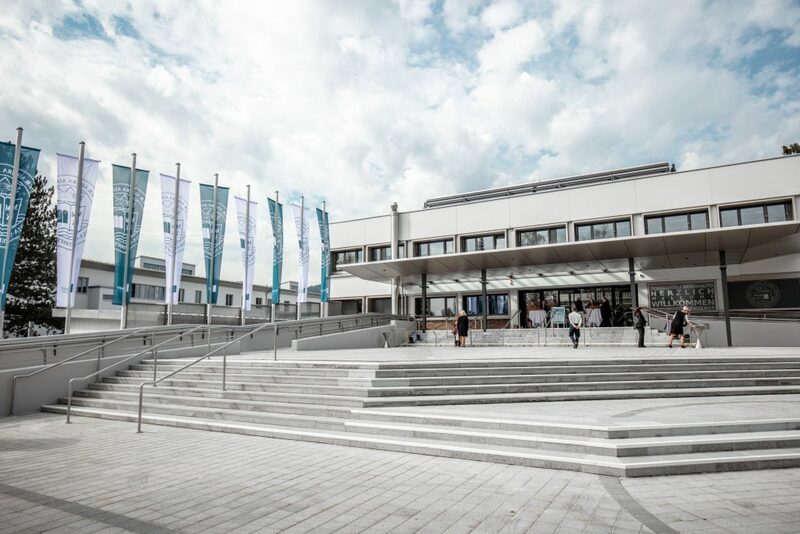 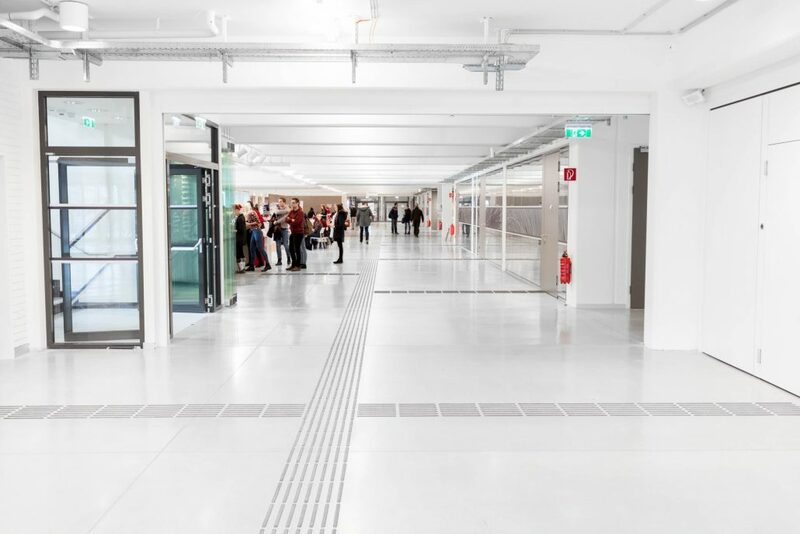 In its role as builder-owner, the Bundesimmobiliengesellschaft (BIG) invested approximately 26 million Euro in the university location Klagenfurt.  With the help of an endowment campaign (“aauwirdreicher”), the University of Klagenfurt was able to add private donations to supplement the public sector funds. Starting in June 2016, the refurbishment project was carried out in stages, while the university continued normal operations. 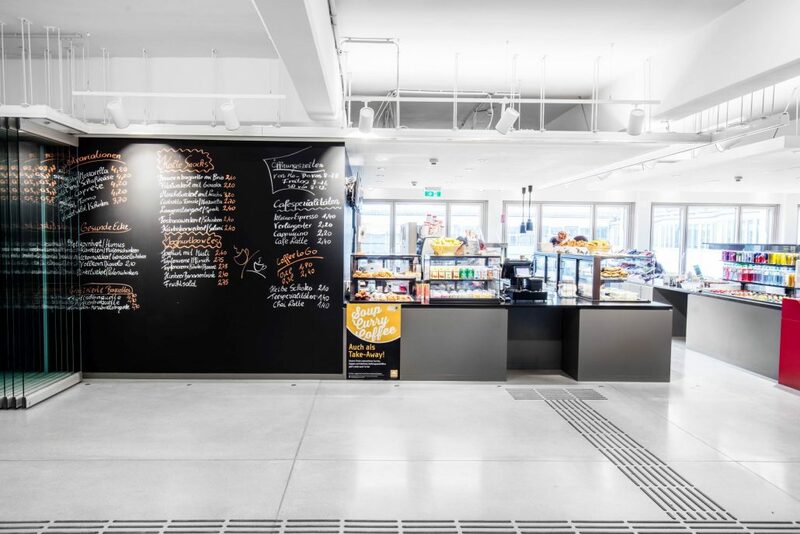 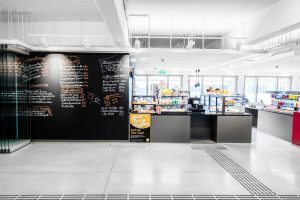 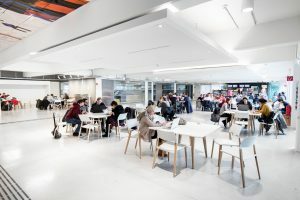 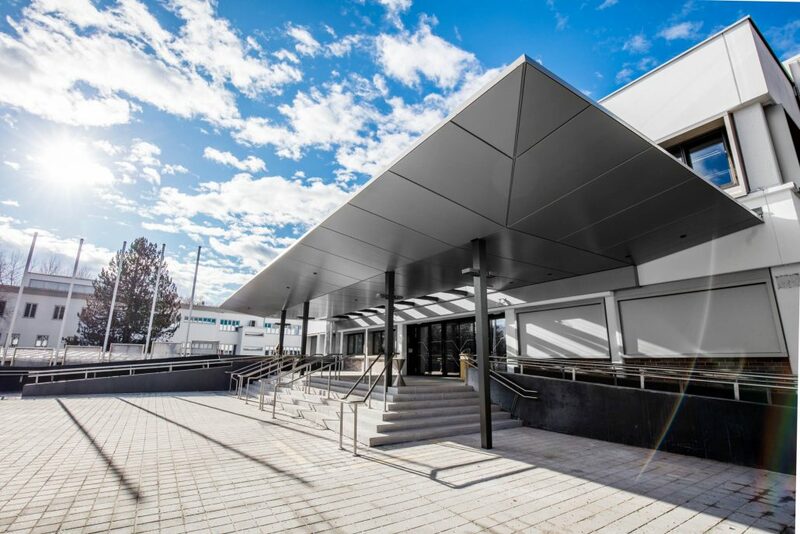 The refurbishment provides long-term functional, economic, ecological, and aesthetic improvements for the university itself, for employees, and for students. The refurbishment plans were drawn up by the working group AAU balloon – Maurer, Architects Maurer & Partner ZT GmbH. 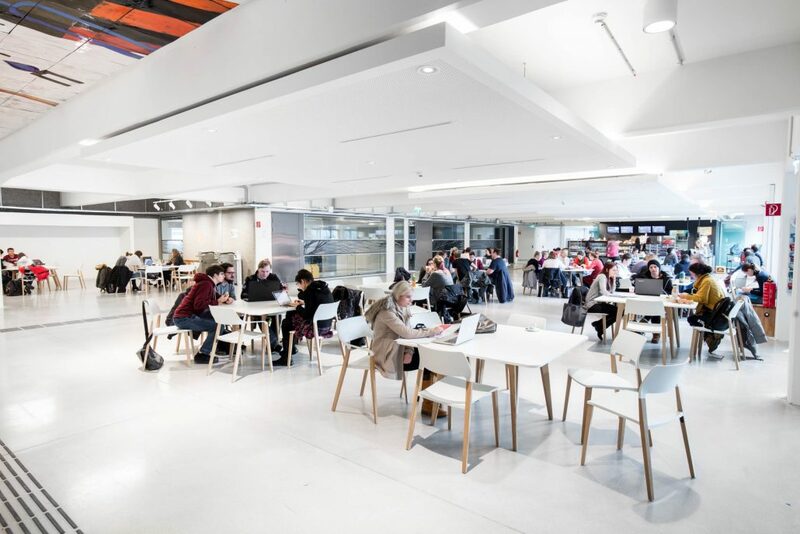 Covering an area of roughly 13,000 square metres, departmental spaces and seminar rooms in the north and central tracts – originally constructed between 1974 and 1977 – have been modernised and in some cases, the layout of rooms has been adapted. 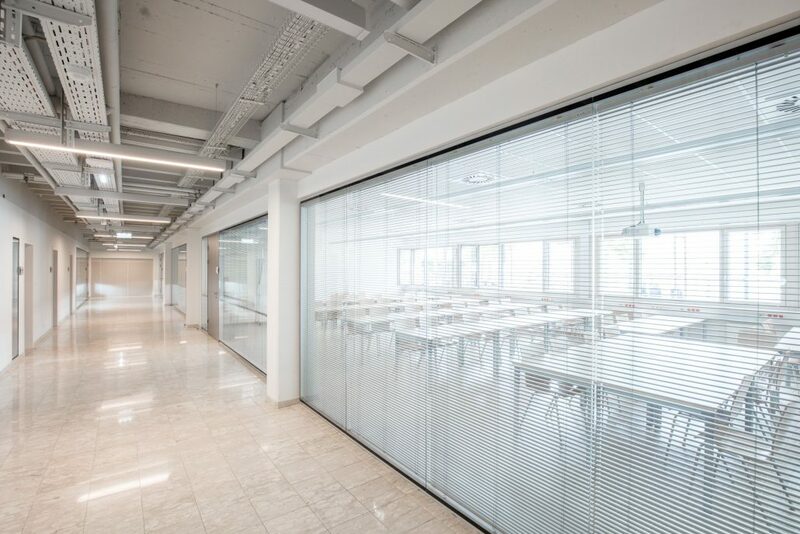 The thermal quality of the building was improved thanks to the installation of new windows equipped with external, flexible sun protection. In the course of the renewing the ceilings, energy-saving lighting elements were installed, as well as LED corridor lighting. 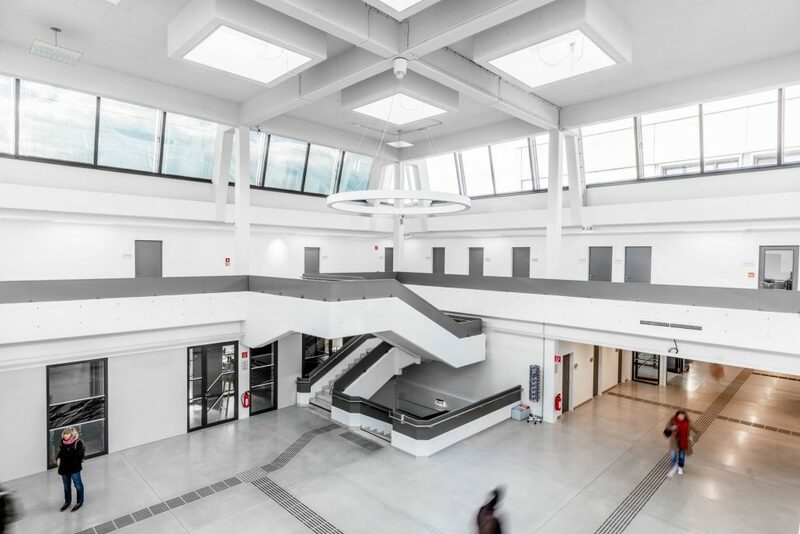 The ventilation system has also been replaced and now includes heat recovery technology. 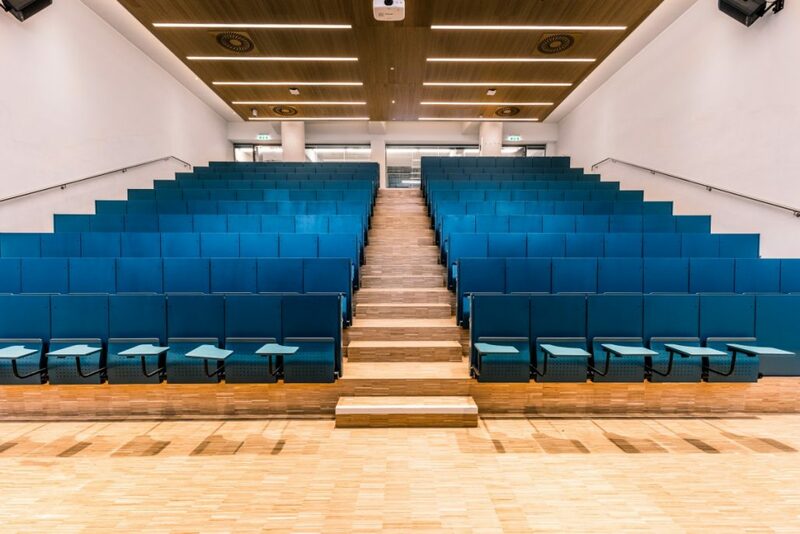 BIG also renewed the four lecture theatres in the central tract. 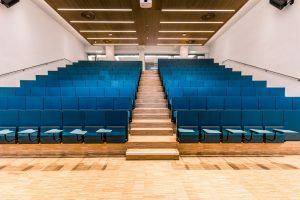 Acoustics, ventilation, accessibility, and seating have been brought up to date and all areas now boast a contemporary design. Corridor-facing glass panels and openings in the northern walls allow plenty of daylight inside. The Oman Hall was opened up to the aula, but thanks to mobile partitions it can be completely closed, if required. 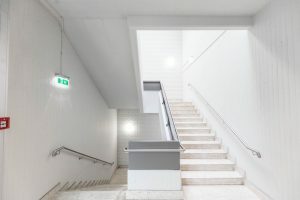 In the north tract, a new lift was installed to improve accessibility. 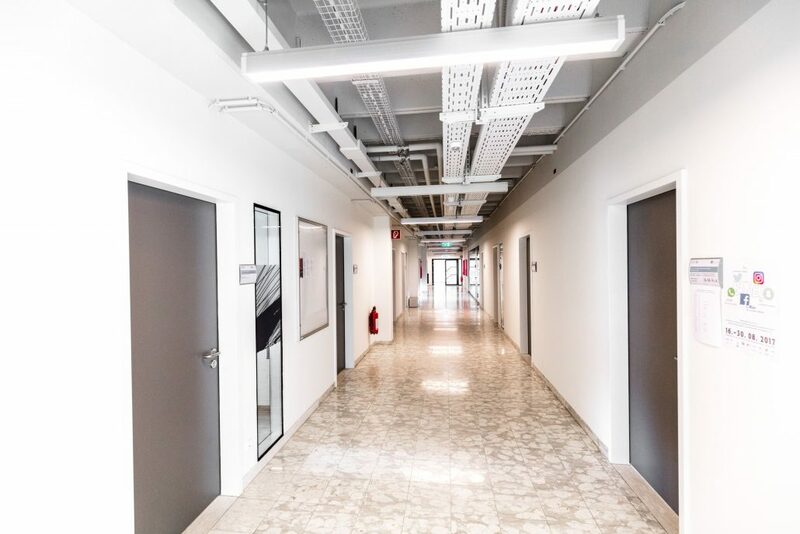 In addition, all sanitary areas including adjoining rooms were refurbished. 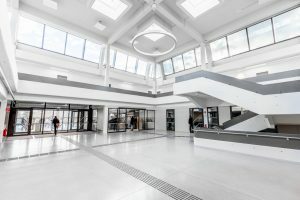 Due to beneficial tender results and efficient planning, BIG was able to implement a number of additional measures over and above the original scope of the project. 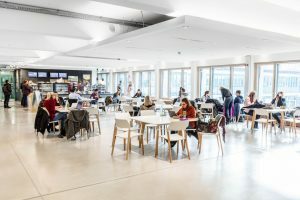 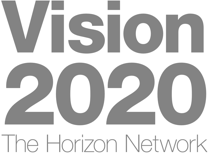 These include, for example, adding air conditioning to all four lecture theatres, the refurbishment of the connecting passage between the north tract and the Vorstufe building, the implementation of anti-glare measures in the offices in the north and central tracts, the refurbishment of the external staircases, repair of the façades on the south, central and north tracts, renewal of emergency lighting, and the construction of additional bicycle parking. 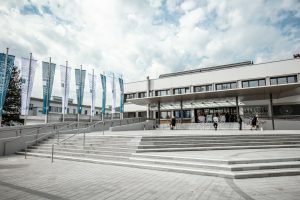 Moreover, the wooden bridge across the biotope between the University Sports Institute (USI) and the east tract will be renewed. 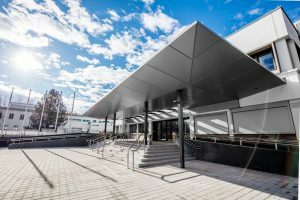 As this is the location of breeding and nesting sites, BIG has scheduled this work to take place over the winter months, concluding in the spring of 2019.